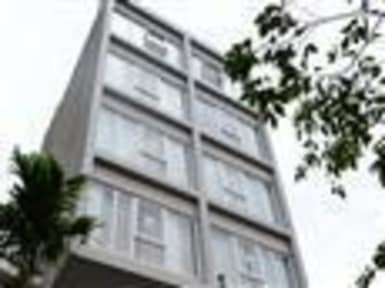 Close to the beach...plenty of restaurants nearby....very clean hotel...A/C very good in room (standard). We stayed here for one night after taking a train into Da Nang before heading to Hoi An in the morning. Great place, awesome facilities. Small room but great shower and bed, perfect for what we wanted. Would definitely stay again! Stayed one night. Fair exchange rates on USD at front desk. Short walk to the beachfront and restaurants. Stayed in a suite and it’s the first bathtub I’ve seen in three weeks. Only thing that I didn’t like was a pretty major ant presence, and hearing rats in the elevator as the car rode past. Stayed one night in a deluxe private and it was a lovely room, very comfortable and clean at a great price (AUD$30). The staff were very friendly and helpful with our questions and requests. Location was good if you're interested in the beach (10min walk) but required taxi to city. Hotel was nice and the staff was friendly. The only problem we had during our stay was that they booked our excursion in Vietnamese... not the end of the world but I wish they would have told us before because we probably would have booked an English tour instead. Great location close to the beach and restaurants. Room decent with double bed. Shower good with lots of hot water. Free toiletries. Linen a bit stained and towels could do with replacing but fine for budget accommodation. Staff pleasant. 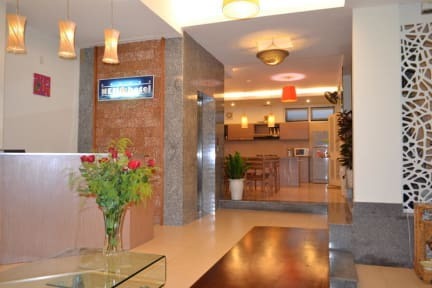 We only stayed in Da Nang for one night and the hotel was great for our stay. The room was clean and staff friendly and helpful. The location is good with a 5 minute walk to the beach and a lot of amenities nearby. Bathroom was in the room separated with a glass wall which was interesting. An average hotel but not somewhere we would stay again. The staff are very friendly and helpful and it has all the basic amenities covered. However, we were woken up at around 5am by builders which is a little too early to be acceptable and there were a few insects in the room. The location isn't great as most of the things in the city to see are on the other side of the river, a long walk away.